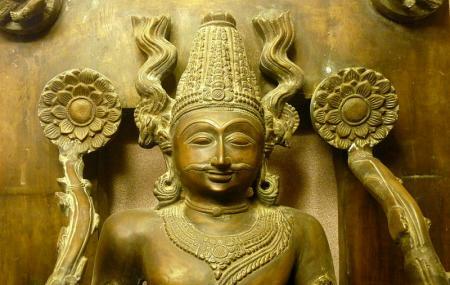 Odisha State Museum is one of the best and most reputed museums in the country. The original museum was established 1932, but the structure that we see today, that holds the treasure collected over ages was built in the year 1960. Divided into 11 sections, the museum gives an overall view of the most interesting subjects. Archaeology, armory, art & craft, anthropology, contemporary art, epigraphy, mining & geology, numismatics, natural history, patta painting and palmleaf manuscripts are some of these exciting subjects, overviews of which are displayed here. More than 50,000 artefacts are exhibited here. The museum also has an institute that specializes in research and also houses a world class library. Do understand the culture of the state and in turn the country and its diversity, its history and progress, a visit here is a must! Enjoy your visit! Timings may differ on public holidays. How popular is Orissa State Museum? People normally club together Odisha State Museum and Lingaraja Temple while planning their visit to Orissa State Museum. The museum is really well kept, really sleek looking & overall a pleasant experience for me. Different departments have been made with good lighting to highlight the details. There's also facility of wheelchair & ramp for the differently-able. Elevator's too is provided for help. All this is interesting & on that we get to meet some artist who were readily selling their art pieces like handmade clothes, decors made of clay & a painter. The behaviours of the people was good too, but photography should be allowed or people would not be interested in going there for anything other than just casual roaming. Best place if you want some quality time alone or with one friend. Can see history related things, lost birds or animal. Can know about Adibasi people's food, living style etc. It is situated in Kalpana square. Rs20 per head is charged if u want to visit. More old coins u can see there. Different old house hold items u can find there. Very beautiful and peaceful museum. Visible from normal traffic. Latest and old collection of monuments,coins, architecture,statue,birds,animals available here. Very attracting is its elephant tusk architecture. You can see unbelievable statue in this tusk. So attractive. You can feel the old age peoples livelihood in this museum. And you can also saw a geological museum where you find so many metals fossils etc. A beautiful garden also present infront of it.